Ryan's Smashing Life: Picture This! 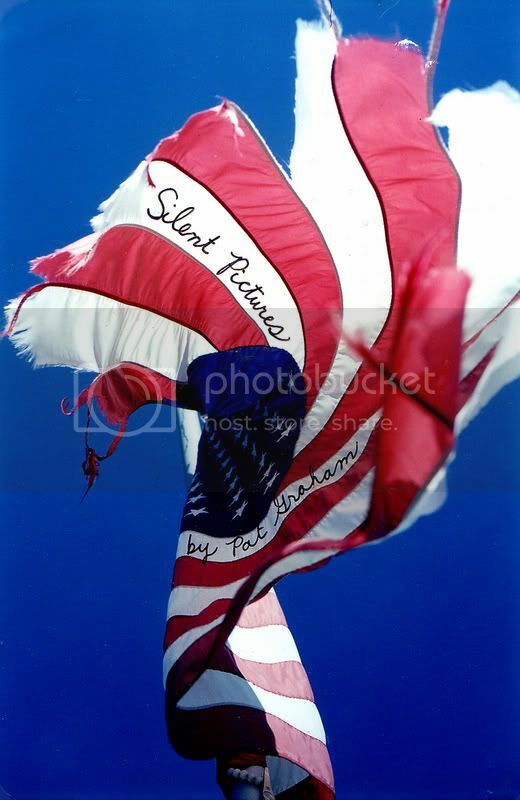 Indie and Punk Rock photographer Pat Graham's Incredible New Collection: "SILENT PICTURES"
Picture This! Indie and Punk Rock photographer Pat Graham's Incredible New Collection: "SILENT PICTURES"
I marvel at the power conveyed through photography. You aren't supposed to be able to hear images or taste the dust in a photograph of a dirty room - but it does happen. You aren't supposed to breathe in history but if the stories are told well enough - you do. Photographs of strangers aren't supposed to make you feel as if you can read their thoughts or know what's in their souls.... But it happens. 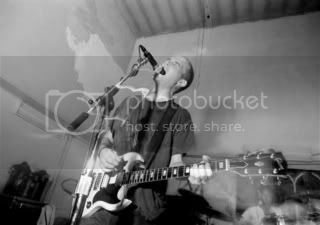 Thanks to "Silent Pictures" - a collection of images from talented photographer Pat Graham, we have new photographic insight into the lives of musicians Modest Mouse, Ted Leo, Bikini Kill, Fugazi and the Shins! Graham's photo collection, released just this month, captures the highlights of an incredible 19-year career. "Silent Pictures" focuses largely on emblematic stage images of punk rock and the dynamic music scene that has emerged in the Nation's capital. In D.C., Pat Graham lived and worked for a time with Dischord Records founder Ian MacKaye (Minor Threat, Fugazi, Embrace) - providing him unprecedented access to the local music scene. For photography and music enthusiasts - this photo book is an absolute must have! FROZEN IN TIME - Like the bands he captures on film, Graham thrives because of his uncompromising anti-establishment aesthetic. Many of the images presented here have taken on iconic status over the years, proving that the energy of live shows resonates beyond the walls of the nightclub. Graham’s unique style is partly a consequence of the countless times he has accompanied groups like Modest Mouse and The Make-Up on tour across the world; these photographs convey the power of legendary performers like The Jesus Lizard and the late Elliott Smith in unscripted spontaneity onstage, while more intimate portraits provide candid glimpses of life on the road, behind-the-scenes peeks backstage, and shots of euphoric audiences participating in similar scenes of community collaboration across the country. Graham lives in London with his wife Melanie. He is still active in photography and runs the 96 Gillespie Gallery. Images and review copy of Silent Pictures are courtesy of Akashic Books. A limited number of autographed copies are available online.